Bringing Your Data from the Cloud Back to Earth – How to extract your data from ArcGIS Online. In my blog post series so far this year, I have considered and written up common workflows for preparing data for ‘in field’ collection capture using the Collector for ArcGIS app. If you’ve missed any of these blogs, you can find them using the Collector tag on this page. So what’s the next step? Well, now that you’ve published the data, and used the Collector app to collect new features and you’re back at the office, you’d probably like to get the data from the “cloud” and do some good old editing or analysis in ArcGIS for Desktop. This brings us to my current blog post! Here I’ll cover a few simple techniques that you may use to extract the data from a feature service that’s running on ArcGIS Online, and use it in ArcGIS Desktop. To illustrate this workflow I will use the same feature service representing traffic accidents that I’ve used to demonstrate the Collector’s “offline editing” workflows. Workflow #1.: Extract the data in a form of a shapefile or a CSV table. ArcGIS Online for Organisations allows you to extract the data that you’ve collected using the Collector App as shapefile or a CSV file. 2. Locate the feature service that stores the points collected by the mobile app and open its properties (left-click on the name of the feature service). The resulting shapefile will be saved to the My Content folder (root). You can click the drop-down arrow and download it. Now we’ve got our data from the cloud. There are, however, some shortcomings to consider. The biggest consideration is that shapefiles are not capable of handling attachments. So if you collected any photographs or added any other attachments, such as PDF documents, they will not be exported with the attribute table and the geometries to an output shapefile. Let’s return to the My Content folder on ArcGIS Online and locate the same feature service that we used in workflow one. 2. Your browser should download a package. Once completed, click on it and this should launch ArcMap. A new ArcMap document with the feature service layer added to the table of contents will open. 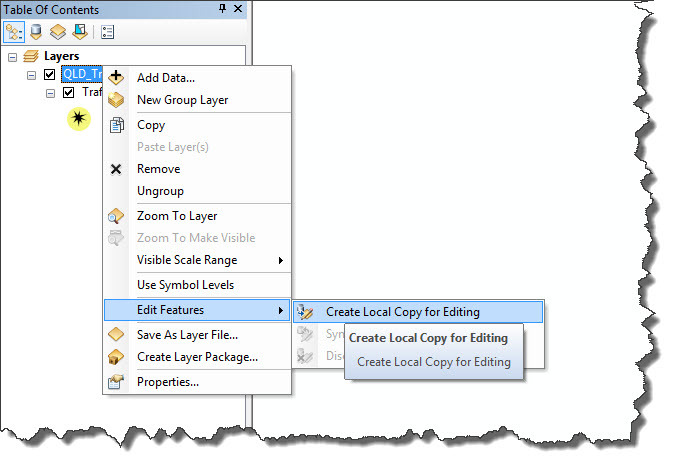 A local copy of the data will be created and saved to the ArcMap’s home folder. 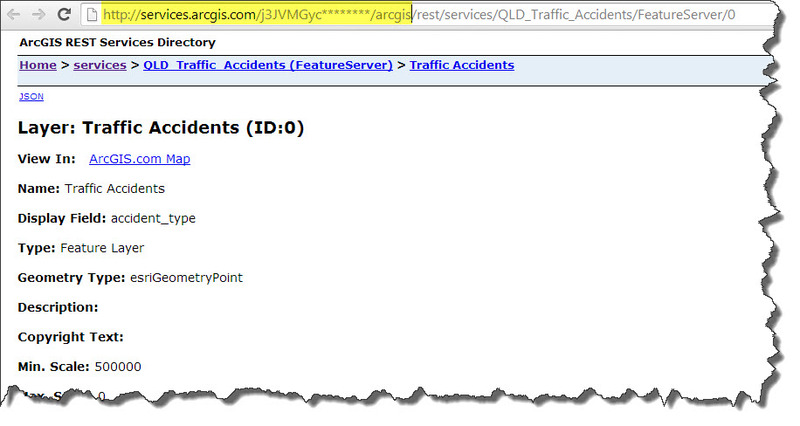 By default it’s located at C:\Users\<Current User>\Documents\ArcGIS\FeatureServiceLocalEdits. TIP: The location of the Home folder can be easily changed through the Catalog Window Options Dialog. The geodatabase will contain attachments and the original feature class- shortcoming averted!! Sometimes you may need to transfer the edits and the new features back to the “master geodatabase” which is the geodatabase that had initially been used to publish a feature service. The second workflow allows you to not only export the data and the attachments that you collected in the field, but it also allows you to edit a local copy of the data and synchronise the changes with the Feature Service running on your ArcGIS Online for Organisations account. I hope the above workflows will help you easily get your data from the Cloud back to earth and use it in your editing and analysis workflows. Oh, one more thing. 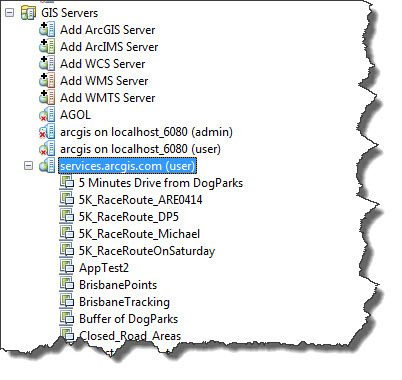 Did you know that you can add your ArcGIS for Organisations account as an ArcGIS for Server connection in ArcMap? This little hidden gem could save you time and eliminate the necessity of getting your online data through a web browser. The workflow is quite simple. Step 1. Get the URL. Log in to your ArcGIS Online for Organisations account and open properties of any of the feature services you’d published. Step 3. 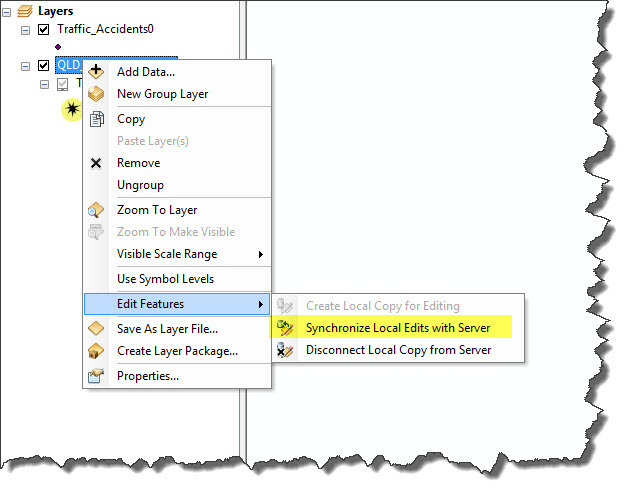 Add an ArcGIS Server Connection. Open ArcMap and in the Catalog Window scroll down until you see the GIS SERVERS category. 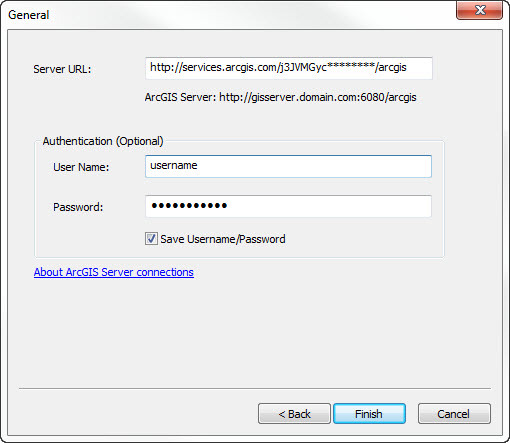 Choose Use Services and enter the server’s URL and your ArcGIS Online username and password. A new ArcGIS for Server connection will be added to ArcMap and you will see all the feature services and other datasets that have been published on your ArcGIS Online for Organisations account. 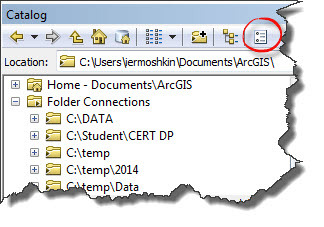 To use your data, simply drag and drop it to ArcMap’s main window. This entry was posted in General and tagged ArcGIS Desktop, ArcGIS Online, Collector for ArcGIS, Geodatabase on May 30, 2014 by Ivan E..
Now I would love to get this data back. (not so much the images but points and description. And I don’t have an organisations account. If you created a story map using the online storymap builder (just on the story maps website), then a feature service on ArcGIS Online should’ve been created. Unfortunately, it looks like you can get access to that feature service only if you are using an ArcGIS Online for Organisations account. Find the web map (not the application) and choose to open it in ArcGIS for Desktop. 4. The map which contains the basemap and the features that you’d created in the story map will open in ArcMap. 5. 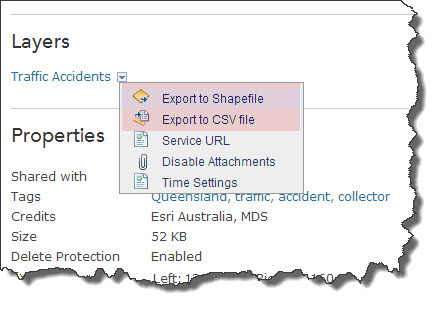 Right-click on the feature layer > Data > export Data and save it as a shapefile or a geodatabase feature class. I tested this in ArcGIS Desktop 10.1 and 10.2.1 – worked well. But my 10.0SP5 machine has failed to open the map with the feature layer. Thanks anyway for your extensive reply and your blogpost. It was just what I was looking for. Perhaps I have another tip (I haven’t read your other posts yet so perhaps this is old news) but I would be interested to know if you can use an editable layer in a maptour template. I made an local history story map http://bit.ly/1dH5FVY and it would be lovely if I could add an editable layer so people could add their own piece of local history. And will this work with a public account. Thanks anyway. I will keep an eye on your blog. 5. Publish the web app on a web server. You will need to find a web server (I.e. use one in your organisations if you have it, or purchase a virtual hosting space somewhere). The biggest issue is the web server. Sometimes it’s quite hard to find one that suits your budget and technical parameters, although, it shouldn’t be a problem in Europe. Your storymap is great! Well done! Thanks, I will certainly check the other blog. We really like the storymap options. You would think it would be easier to come back down from the cloud. I am sure most businesses and other organisations would want their basic data safe in their own system rather than sitting in some cloud. Once you take your data off the cloud and if you have attachments, where then do the attachments get stored? If i used a .sde data source to create my map that was published to use with arcgis Collector, what could be the best way to have my data in my .sde synchronized with to data collected or modified with Collector? Hi, I recognize that this post is a bit old, but perhaps you can answer a related issue? If I am conducting local edits on a feature service from an organizational account (in 10.2 desktop) then I don’t sync my local edits yet, but I also make changes from the same username on a different machine (maybe in desktop or collector) then how does this process happen in the background and will it affect my edits? Sometimes I experience missing edits (geometry, attributes, deleted features, etc.) and I think it may be caused by simultaneous editing in the same username? But when I conduct controlled tests on this, nothing seems to be wrong? E.G. I will open two local copies, on two different machines, then make edits, and sync both back up, look for my edits and they persist. I have tried reordering the local copy and sync aspects in a variety of ways and always I find my edits. I am making small changes like add one feature, or edit one attribute. The reason I would want to do this is because I have a work machine and a portable laptop as well. Sometimes I forget to sync after moving from home to work, etc. Then when I get home I want to be able to sync my edits from my laptop, while the local copy had been sitting there all day, but I was editing in another local copy on another machine? I would like some specific information on how the sync process happens and what would potentially interfere with this. Missing data is a HUGE issue that I need to avoid. I am not the only user in my group editing the service and many others often find unsynced local copies too. It happens. When I log into my AGO account as the administrator and go through the steps to make a feature layer exportable, I don’t have the shapefile or csv options – my drop down just has one option and it’s the “service URL”. What am I missing here? Thank you! Thanks Esri, very easy steps!